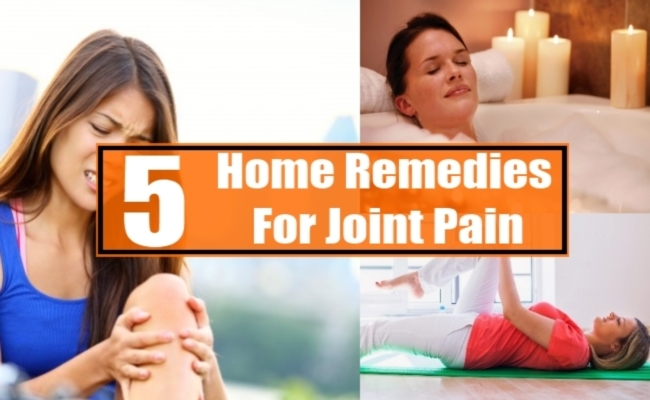 [toc]Home remedies for joint pain is the best measure to cure it. Anyone can experience the joint pain if proper care is not taken. It is of utmost importance to understand the limitations of the body and curve the lifestyle accordingly to avoid such pains. Joint pain results in discomfort for the person as he/she suffers badly while carrying out his/her daily activities. A proper hygiene and exercises are must for the person suffering from joint pain. Apart from the pain killers and meditation, home remedies can give necessary relief from the joint pain. We list five such home remedies which can help the sufferer alleviate the pain. When a person undergoes a joint pain, warm bath can provide immense relief. A warm shower or bath will not only help the joint muscles to relax but it will also alleviate the pain. The warmth and the moisture reduce the inflammation and stiffness of the muscles. You should make sure that the water is warm and not hot otherwise it may burn your skin. An ideal temperature should be around 90 to 100 degrees. It is also a good idea to do some stretching exercises in the warm bath rather than just sitting. Exercising is another recommended way for improving the joint flexibility. A person suffering from joint pain should not opt for heavy exercise as it might hamper the joint muscles and result in more pain. Light exercises such as cycling, jogging etc are some good options to try out. The stressing point here is to carry out an overall workout of the body. Running or climbing the stairs can help in reducing the knee pain. In the same manner sit-ups are good alternatives for relieving joint pain. 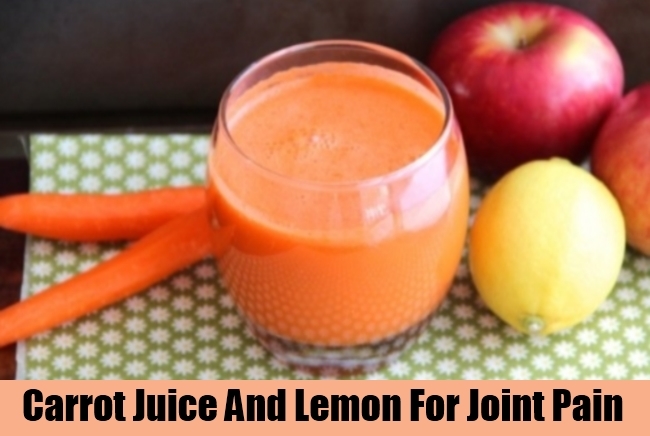 Carrot juice along with lemon is considered to be the best home remedy for joint pain. The recommended way to take this juice is adding equal proportions of both the juice and drinking a big teaspoon of the same. On the other hand, carrot juice alone is considered to be a good source of relieving the joint pain. Both lemon and carrot are considered to make the ligaments of our body strong and at the same time reduce the stiffness. 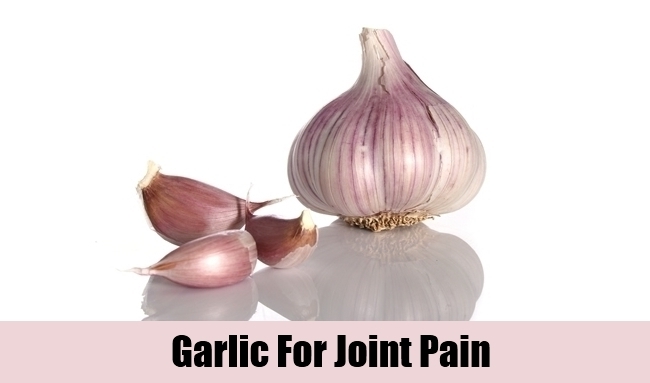 Garlic has been used to eradicate joint pain from centuries. It is a very effective measure to reduce pain due to the presence of its antioxidant properties. For joint pain, the sufferer should eat garlic clove fried in butter. Garlic cloves can also be consumed raw after crushing them. You can drink a glass of water or milk after having the garlic to remove the smell. In addition to this, garlic can also be used externally to heal the pain. A garlic paste can be applied to the respective swollen joints or areas that seem to be affected. Massage is yet another wonderful home remedy to relieve the pain to a huge extent. It is considered to be one of the oldest remedies for pain and body health. Massage increases the blood circulation in the body which in turn carries the required oxygen and nutrients to our tissues effectively. This increase in blood circulation loosens the muscle stiffness and removes the pain. Joint pain sufferers should opt for massage two times in a day, before going to bed and after waking up in the morning. Joint pain has become a common problem now-a-days owing to the professional lifestyle and the hectic schedule. However, you should not forget to take care of your body rather than suffering from pain.